If you own a diesel truck and trailer, the work opportunities are limitless. According to Entrepreneur, using your truck and trailer for rubbish or garbage removal provides a low-cost business venture. 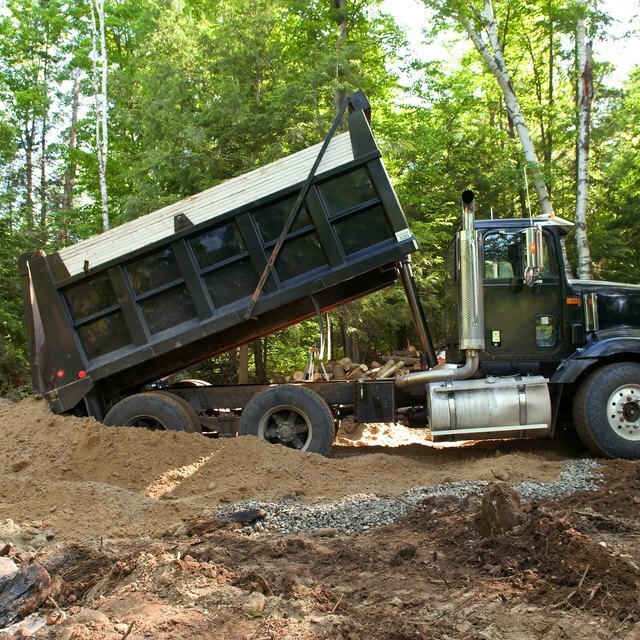 Additionally, other venues include hauling scrap metal, large equipment, vehicles or hay. Developing a plan for your business helps you prepare your equipment and locate work as well. Gather the equipment, including tie down straps, a tarp or a come-along winch, necessary when using your truck and trailer for hauling goods, such as scrap metal, hay or vehicles. Decide what type of work you are using your truck and trailer to perform and go from there. Purchase insurance from your agent that covers the type of work you are performing. For instance, if you are hauling cars for individuals, make sure your liability coverage is sufficient in case a vehicle is damaged. Buy your business license. Go to your local courthouse and visit the business license department. Tell the clerk you have a truck and trailer and describe the type of work you are doing. She can provide you with the type of license required, along with the county and state guidelines. Advertise your diesel truck and trailer for hire. Use the local newspaper, online sites, such as craigslist, business cards, a magnetic sign on your truck and flyers when finding work. Establish a relationship with the local scarp yard owners if you plan to haul scrap. Additionally, if you plan to haul vehicles, introduce yourself and provide your business details to local car dealers and contact local farms if you haul hay. Check your owner's manuals and ensure your truck and trailer are rated for hauling the weight of the goods.